Multiple Grade 1 winner Songbird will visit Juddmonte Farms in Kentucky to be covered by its leading performer Arrogate for her first mating as a broodmare next year. 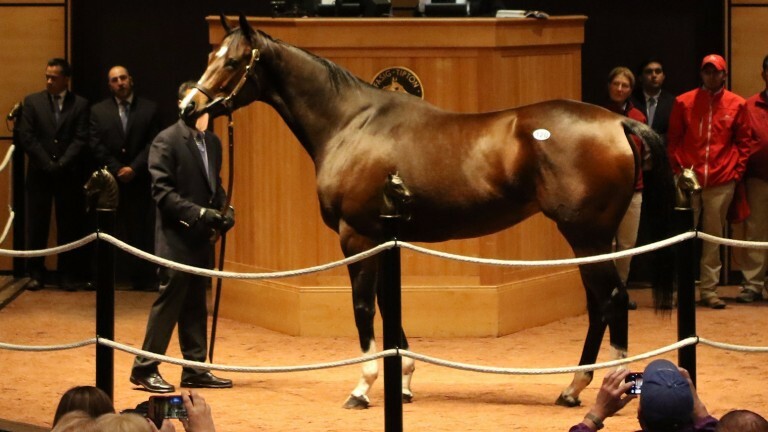 The daughter of Medaglia D'Oro, who went through the ring at Fasig-Tipton earlier this month, was snapped up by Mandy Pope's Whisper Hill Farm for $9.5 million. Wayne Sweezey, of Timber Town Stable, who manages Pope's mares and foals, spoke to the Blood-Horse and said: "We all love Arrogate. We had a choice of a couple of different horses. Pope loved Arrogate when he was racing. She loved the horse. He fit Songbird genetically. "We looked at Pioneerof the Nile and we thought about Pioneerof The Nile very hard, but we kept circling back around to Arrogate. Mandy loves Unbridled's Song and we're hoping Arrogate is the horse that will perpetuate his legacy." Trained by Jerry Hollendorfer to win 13 of her 15 races including the Breeders' Cup Juvenile Fillies in 2015, Songbird is the leading performer out of the Grade 2-winning West Acre mare Ivanavinalot. Four-time Group/Grade 1 winner Arrogate, whose retirement to Juddmonte's Kentucky arm was announced earlier this year, will stand his first season at stud in 2018 at a fee of $75,000.